[dropcap color=”#008040″ boxed=”yes” boxed_radius=”8px” class=”” id=””]I[/dropcap]FC, a member of the World Bank Group, has issued two billion rupees ($30 million) of 15-year Masala bonds, marking the longest-dated offshore rupee bond. This also showed the importance of long-term investor confidence in India. The proceeds of the bonds will be used to advance private sector development in India and the issuance will be listed on the London Stock Exchange. IFC said in a media release that the bonds will help deepen India’s capital markets by extending the yield curve and setting a pricing benchmark for future issuances with similar maturities. The rupee-denominated Masala bonds have been previously issued by IFC, they were only sold t offshore investors in maturities of three, five, seven, and 10 years. “Lasting prosperity depends on strong and efficient capital markets,” said IFC vice president and treasurer Jingdong Hua. “With our latest Masala bond issuance, IFC has created an offshore rupee-market yield curve that stretches from three to fifteen years, deepening the market and making it more resilient. “This sends a clear signal that investor demand for high-quality assets in India remains strong, despite global financial uncertainties,” he said. The triple-A-rated bonds are issued under IFC’s $3 billion Masala bond programme. Under the programme, IFC has issued bonds worth almost Rs.110 billion, including the first green Masala bond to support climate-smart investment in India. 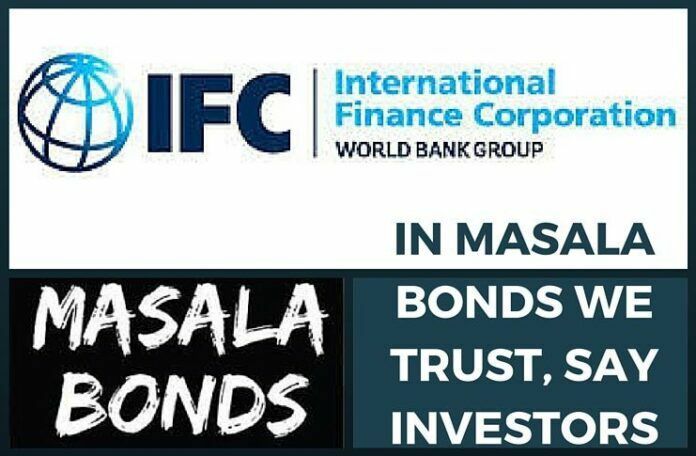 IFC has invested proceeds of the Masala bond programme in 11 private sector development projects in India. It has also issued onshore Maharaja bonds under a $2.5 billion programme for issuances in India’s domestic capital markets. J.P. Morgan is the sole arranger for the bond. Here is an excellent post on the Masala bonds.